Jjamppong is a popular Korean-Chinese noodle soup, loaded with pork, seafood, and vegetables. The combination of all the natural ingredients creates a hearty bowl of soup that is packed with robust flavors. The spiciness will surely clear your sinuses! 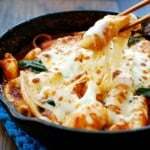 As the weather started to cool around here, I decided to update my jjamppong (짬뽕) recipe that was originally posted in April 2011. Jjamppong (also spelled jjambbong) is a spicy noodle soup, and it’s one of the two most popular Korean-Chinese dishes alongside jajangmyeon (짜장면, noodles in a black bean sauce). Often times, Koreans have a hard time choosing between the two when eating out. Korean-Chinese cuisine was developed by early Chinese immigrants in Korea, and has become a huge part of Korean food culture. In Japan, a Chinese restaurant created Champon, a noodle dish loaded with pork, seafood and vegetables in a rich broth. 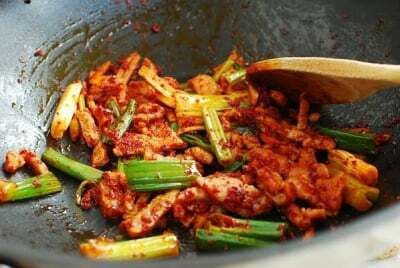 Jjamppong is a similar dish but with a lot of red spiciness! You don’t need to go to a Korean-Chinese restaurant to enjoy jajangmyeon and jjamppong. My jjajangmyeon recipe has been a reader’s favorite. Here, you’ll also find it surprisingly easy to make jjamppong at home with easy-to-find ingredients. Both jajangmyeon and jjamppong use the same type of wheat noodles. Good restaurants use hand-pulled noodles, which are nicely chewy. For home cooking, you can find ready-made fresh noodles in the refrigerator section of Korean markets, or use dried noodles. These noodles are generally labeled for udon and jajangmyeon (우동 짜장면) or jungwhamyeon (중화면). Udon noodles for Korean-Chinese cooking are not the same as Japanese udon noodles, which are thicker and softer. If you can’t find any of these, simply use spaghetti or linguine noodles. 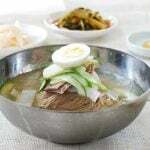 How do you make a jjamppong soup? The soup base is typically made with chicken stock for a rich flavor, but you can also use anchovy broth for a lighter taste. I often make it simply with water, and it still tastes delicious. The combination of pork, seafood, various vegetables, stir-fried in gochugaru infused oil, creates a hearty bowl of soup with robust flavors. For the meat, pork is classic, but use beef if you prefer. Of course, you can omit the meat if you want. 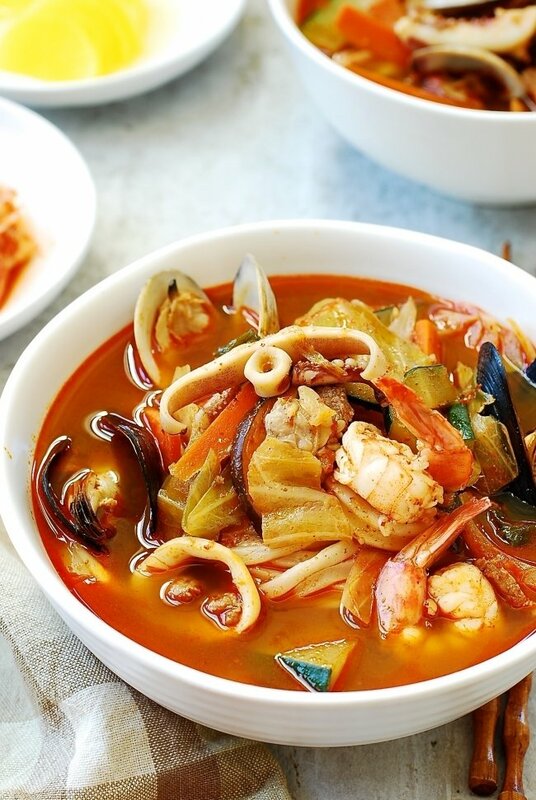 The types of seafood used in this recipe are what you’ll find in jjamppong at Korean-Chinese restaurants: clams, mussels, shrimp, squid and sometimes oysters. Sometimes oysters are also added. But, it’s versatile! Use what you like or have. There are many options for vegetables! 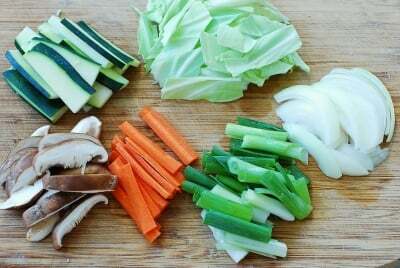 I used green cabbage, carrot, zucchini, mushrooms, onions, and scallions. 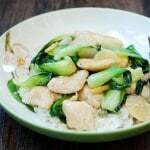 Napa cabbage or bok choy will be a good substitute for green cabbage. Bamboo shoots and baby corns are great additions as well. You’ll only need a little bit of each vegetable for this recipe. As always, the level of spiciness can be adjusted to your taste. You can increase or decrease the amount of gochugaru, or even add dried red chili peppers to increase the heat level. 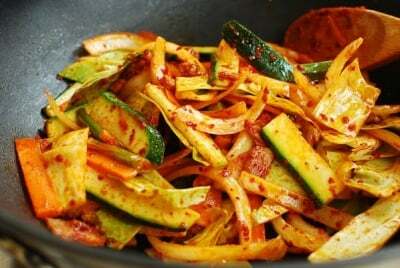 Have you tried this jjamppong recipe? Please rate the recipe below by either clicking the stars or when you leave a comment! And make sure to share your creations by tagging me on Instagram! Stay in touch by following me on Pinterest, Twitter, Facebook, and Instagram. Jjamppong is a popular Korean-Chinese noodle soup! It's loaded with pork, seafood and vegetables! The combination of all the natural ingredients creates a hearty bowl of soup that is packed with robust flavors. The spiciness will surely clear your sinuses! Have a pot of water ready to cook the noodles. (Turn the heat on when you start cooking the soup ingredients. This way you can time it so that the noodles are cooked at the same time the soup is ready.) While making the soup, cook the noodles according to the package instructions and drain. Prepare the pork and seafood. Heat a wok or a large pot over high heat. Add the oil, ginger, scallion, gochugaru and soy sauce and stir-fry for a minute. Add the pork and stir-fry until the pork is almost cooked, about 2 minutes. Stir in the onion, carrot, cabbage, zucchini and optional mushrooms. 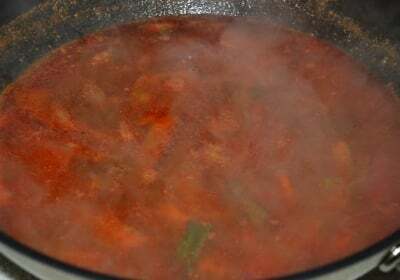 Lightly salt, and cook until the vegetables are slightly softened, about 2 minutes, stirring occasionally. Pour in the chicken stock (or anchovy broth/water) and boil until the vegetables are completely cooked. 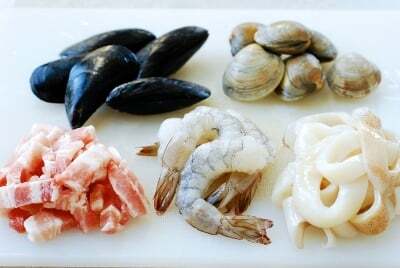 Add the seafood starting with the clams, which require more time to cook, followed by the mussels, shrimps and squid. Bring everything to a boil again and cook until the shells have opened. Salt and pepper to taste. Cook the noodles, rinse in cold water, and drain. 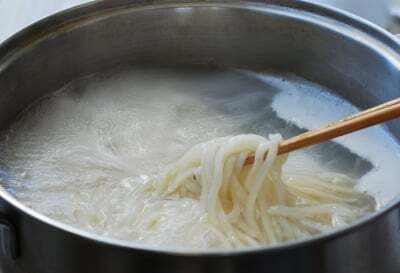 Place a serving of the noodles in a large soup bowl and ladle the soup on top. Serve immediately while piping hot. I’ve been craving to eat that white noodle for agesss. Oh, I love jjam ppong! I haven’t had any in so long… Now I’m craving some! This makes me miss being in nova — looks great, mom. I have tried so many of your recipes and each one is fantastic. Love the spicy pork one especially. My Korean husband is always asking about jajangmyeon and since I don’t know how to make it, I was wondering if you could post a recipe for it. Thanks again for all the great Korean meals we’ve been eat. Pierre – Thanks for stopping by. Are you planning on visiting her again this year? I remember you went to see her last spring or early summer. Roxan, Chris and Min – Thanks for the nice comments. Michelle – I am incredibly happy to hear that you have tried many of my recipes and like them. Thank you very much! Jajangmyeon is on my list of things to do, but I will definitely push it up to the top part of my list. Yum! What an awesome way to do jjambbong at home. Thanks for sharing your recipe and providing inspiration for easy cooking that looks gourmet. I stopped by your site because my friend loves your recipes. Now you are on my google reader! I don’t think I’ve ever had any Chinese-Korean food before, but the seafood selection in your recipe is already making my mouth water! Looks gorgeous! Oh this looks fabulous, Hyosun! My mother and I love to order this at a restaurant, especially when we have colds! 😉 Never thought to try to make it at home thinking that it would be too hard. Thank you for the recipe! Stephanie – Let me know how it turns out for you when you try. Thanks. Kay – My family usually order this too when we go out. 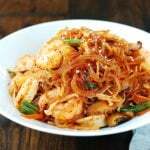 We have quite a few Korean-Chinese restaurants in the Northern Virginia where we live, but I actually started to make this when we were snowed in one year and loved it. Thanks for stopping by. Becky – Thanks for trying the recipe and letting me know how it turned out. Nothing makes me happier about my blog than hearing from my readers that they have tried the recipe and enjoyed the result. Hope to hear from you again. delicious! i’m going to have try this next week!! or maybe i’ll try it for my dad when i’m home this weekend! Looks so delicious! I love Jjamppong. I think it is one of the old time favorite Korean-Chinese dish to any Koreans. Thanks for posting the recipe. I love jjambbong as well as jajangmyeon. We have a Korean Chinese restaurant in the area, and we always get one or sometimes both! I’ll make jjambbong soon! That’s a mouth-watering soup. Love your clear step-by-step instructions. I would love a bowl of this spicy noodles. It looks so delicious and appetizing! I’ll have to get a pack of those noodles when I visit the Korean market the next time. Thank you, everyone, for stopping by and for the nice comments. Hope you get to try the recipe. This looks simply amazing! Jjambbong is one of my favorite dishes. 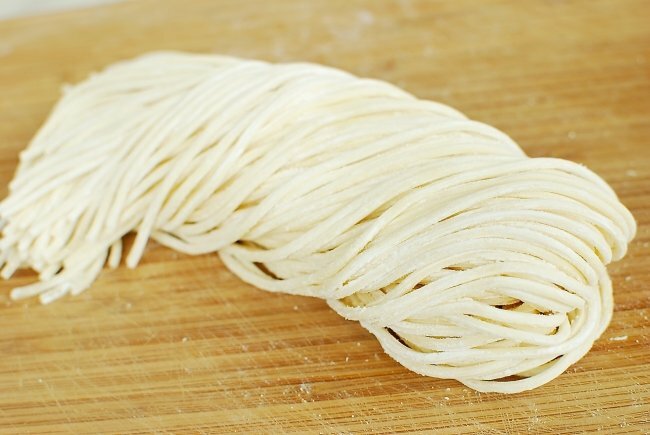 There’s a place in NJ that specializes in it, and the key is their fresh, handmade noodles. But I’d love to try to make this at home. 🙂 Thank you for the recipe. Esther and Rachel – Please try! 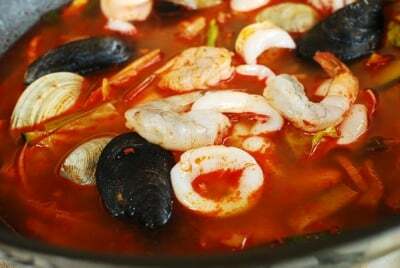 My daughter sent me a picture message of jjambbong she made today, saying it was really delicious even without all the seafood ingredients. She said she only had shrimp. Let me know how it turns out for you. 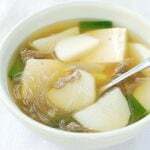 I just love Korean soups! This Korean-Chinese soup is exactly what I need for this crazy frigid spring weather. Thanks for sharing it looks mouthwatering. 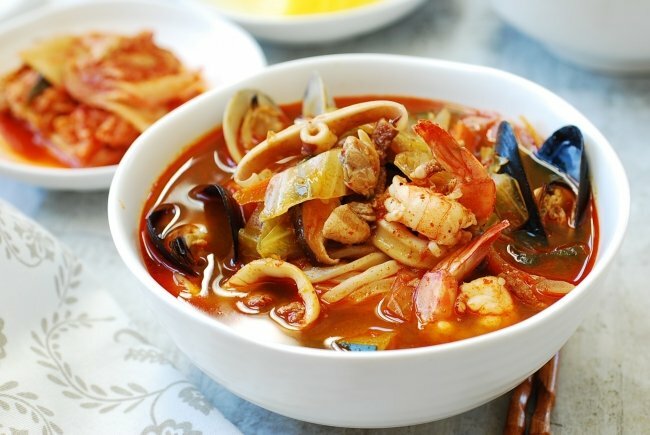 Hi Hyosun, your soup looks amazing and I love all of the seafood. Thanks for the background info regarding Korean-Chinese cuisine. I never new it even existed, let alone knew that there were actual Korean-Chinese restaurants! I’m always happy to have stopped by and learned something new. 🙂 Thank you! And Happy Mother’s Day to you! I used to be allergic to some shellfish but I made and devoured this dish anyway… Incredibly, I had no reaction to the shrimp that would usually make my throat itch like crazy. Ever since then, I haven’t had any problems! Jisoo – Chicken stock used in Korean-Chinese cooking is much lighter, but you can use American stock for this dish. 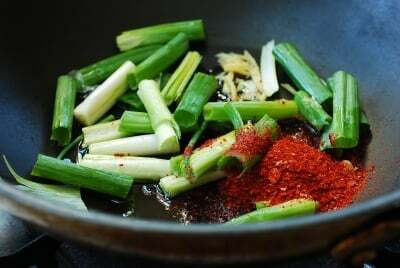 If you want to make Korean chicken stock, simply boil some chicken with bones, a couple of scallion white parts, a little piece of ginger, and half of an onion. First bring it to a boil and then simmer over lower heat for at least an hour. I have not seen any commercially available Korean stock. Would consider offering cooking classes? I live in the DC Metro Area. Just returrned from Raleigh NC , an up and back trip to a funeral . The weather was cold and it made me crave this dish but I had no time to go to my favorite restaurant that served this dish. I this frequented this restaurant weekly in winter for this special dish . I thank you for sharing your recipe ,I no longer have to crave and be disappointed . I’ve looked everywhere for a jjambbong recipe. Thank you ! I just made this and OMG was it sooooo damn good. I have been to korea several times and miss the food so much i started cooking it myself. I have been cooking for many years and this was one of the simplest dishes i have ever made and sooooo worth it. That’s awesome! Thank you for trying it out and letting me know how it turned out. Hi Ms. Hyosun! I love the “Nong Shim Korean Noodles” but wouldn’t want to eat it often because it’s not as healthy. Can I use this recipe without all the vegetables and seafood and make it taste the same way as the instant one? Thanks for your help! I would be looking at all the other recipes you’ve posted later. Mowee – Sorry about the late response. I’ll be honest with you. This dish is very different in many ways from instant ramen. It’s not going to be the same even if you omit the vegetables and seafood. But I am sure you will enjoy this dish as is if you make it. Thanks! OMG! This looks so good and I can taste the spice! Hope to try it and incorporate some of your ideas into my soup recipe too, thanks! I made this again tonight and it was SOOOOOO GOOD. 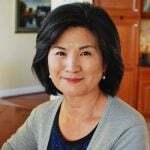 Ajumma, Kumsamida. This is one Korean Recipe I’ve wanted to learn for ages. My wife is Korean but didn’t have a recipe for jjamppong. I love jjamppong and now my wife will have no excuse NOT to make it for me. If she doesn’t I can make it myself. Our daughter is a great cook and I’ve e-mailed the recipe to her. Her husband is Chinese and he also adores Korean cuisine. Being the token white guy in the mix I’ve learned to eat Korean food but I’m not yet there with the level of spiciness that they enjoy. My daughter even took my Italian recipes handed down by my family and spiced them up. Whew! I like to add some extra kimchi into the soup. Extra spicy please! Thanks for this great recipe! This was AMAZING!! I don’t like seafood so I used pork belly and two links of andouille sausage then added a bit less red pepper to compensate for the spice in the sausage. I also added a bunch of extra mushrooms because I love them. I cannot wait to make this again, it was so delicious :)!! Pork belly and andouille sausage sound great! I’m glad that you modified the recipe to your taste and enjoyed it. Thank you for letting me know. Cheers! definitely making it for my bf!!!!!!! he always talks about his mom’s 짬뽕. i will show him!!!!!! Okay little fish, SHOW HIM! Ha ha. Hope you guys have a fun time together and warm up with this bowl of spicy noodle soup. Okay little fish, SHOW HIM!! Ha ha. Enjoy! 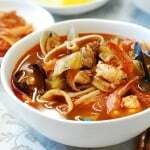 Could you use store bought seafood broth (seafood stock)? I am sure it would work. Try it and let me know how it turned out. hey umm can i change the pork to beef and gochugaru to gochujang? The pork to beef is fine, but gochujang is not a good substitute in this recipe. Gochugaru gives the soup clean, spicy flavor, but gochujang will make it thick, sweet and heavy in taste. If you have to use it, use a small amount. It will be different from normal jjambbong, but you can try it. Hi Hyosun! I would love to try to make this dish for my sister, but she doesnt eat spicy foods. Can we make this dish without gochugaru? It will be quite different but sure it will work. Two of my favorite ingredients in one bowl. 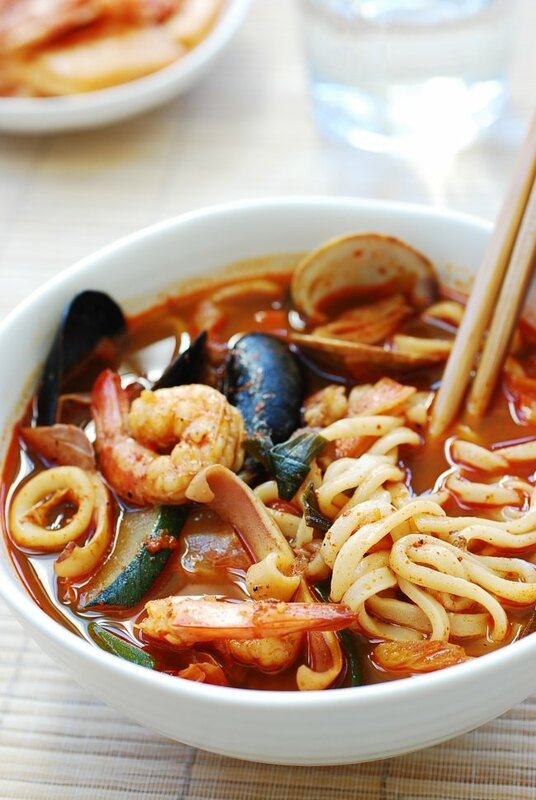 Seafood + Udon = love. Hoping to try this out if I can remember to buy the shellfish. Thank you. Can’t go wrong with those two in the same dish! Enjoy! I made this for my family and they loved it! I was quite surprised how easy it was to make it! I didn’t have fresh noodle but used spaghetti and another time I used japchae noodles. My husband really enjoyed it! Thank you so much for the recipe!!!! Thanks for an accessible sounding recipe to one of my favorite foods! Fresh seafood isn’t always the easiest to find here in the Midwest and I’ve seen frozen mixed seafood bags in the local Korean grocery. Have you ever tried that or would you not recommend? Not the best, but will work. I’ve used them for other dishes sometimes. Go for it! 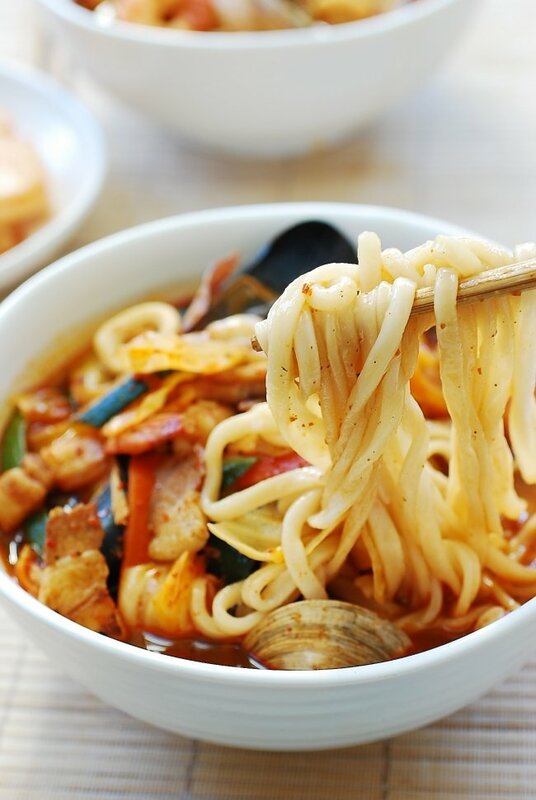 I’ve been looking for an easy spicy seafood udon soup recipe after having it at a Korean restaurant and I can’t thank you enough for sharing this recipe! !